Painting the exterior of a house can be a demanding job. But you can save yourself a lot of work by preparing properly for the project. Shouts of GOAL rippled across the Anthony Spaulding Sports Complex at Saturday’s Sherwin-Williams Color Scape KO semi-finals playoff. Defending Champions Barbican FC were up against Portmore Strikers FC while Los Perfectos faced off against Waterhouse FC. The win was Barbican’s 50th stretching back from 2011. Barbican raced to a comfortable four to nil lead in the first half an hour. Tashana Vincent lead the goal scoring spree with 4 goals taking her tallying in all competitions to 24; seven of those coming against Rangers FC. The other goal scorers; Tashieka Small scored in the 31st minute, Shanique Smith in the 38th and Davia Smith in the 41st. Portmore Strikers scored an own goal in the 73rd minute empowering Barbican’s victory streak. 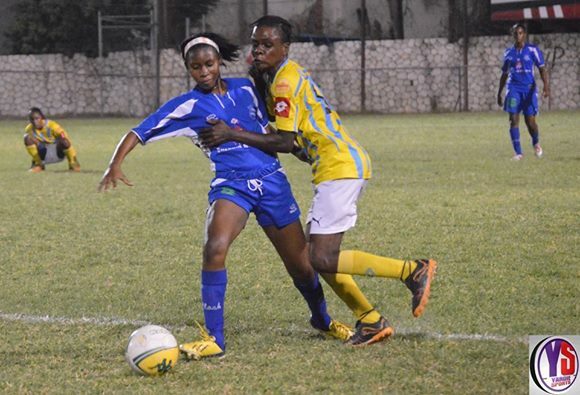 Their scores continued to soar as Tremaine Brown, Shee Ann Sergeant, Ashlee Sawyers and Rochelle Bryan scored one goal apiece; ending the semi-finals with Barbican 12 goals to nil. Los Perfectos defeated Waterhouse 3 – 2 to secure their spot in the Sherwin-Williams Color Scape KO finals. Will Barbican FC become the first team to win all three titles in four seasons? Find out on October 25th when the defending champions Barbican FC face Los Perfectos FC. Do you need help picking house colors? Use this handy web tool from our Sherwin-Williams website to try out different colors on a digital photograph of your house. Yes you read right! 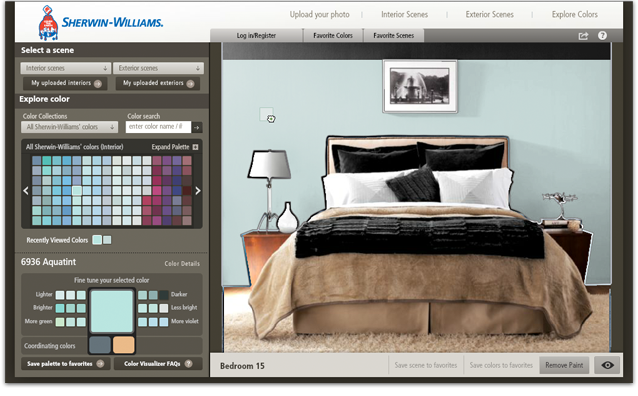 Say hello to Sherwin-Williams’ COLOR VISUALIZER – a web based tool designed to make colour selecting process much easier. 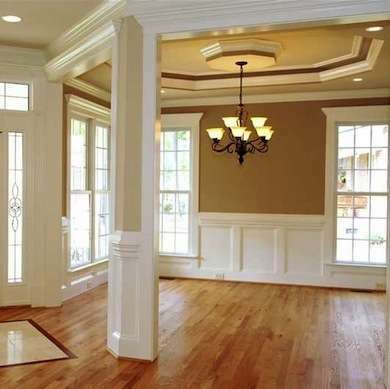 Selecting the right paint color for your house can be a very daunting experience. We often end up spending countless hours going through hundreds of paint chips, finally selecting a color and applying the paint – only to be unhappy with the final result for various reasons. Let Sherwin-Williams help you to not only save time, but also give you the confidence that your final color selection is definitely an awesome choice. This online tool is designed to get you started in the right color direction, and only involves three easy steps. 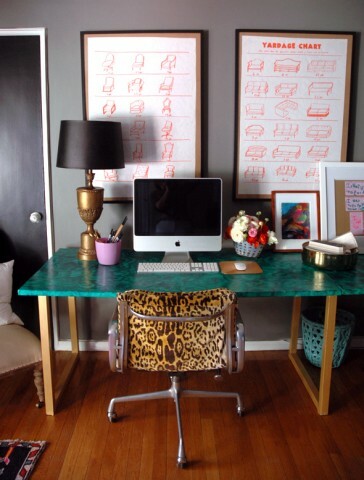 Upload a picture of your project (looking to color your space but don’t have a photo? No problem! You can visualize color by choosing one of our interior or exterior scenes). Use the drawing tool to highlight areas on the picture where you wish to change the color. The best practice is to block off a large area and change drawing tools to subtract details that you do not want to change color, for instance windows or shutters, it’s all up to you. If you chose one of our scenes, you will notice that each scene is pre-marked and ready to paint. 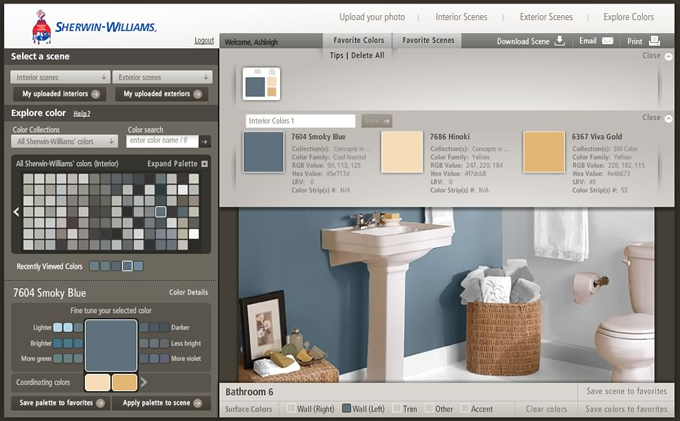 Select colors from the Sherwin-Williams online color palette and then paste the color in areas you have previously highlighted. Simply drag and drop a color on a highlighted area. 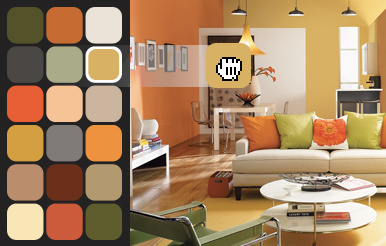 Continue to select drag and drop a new color until you find a shade that’s right for you. There you have it, as easily as that you can see how colors will blend in – or not – with the rest of your decor. You can explore color combinations to your hearts desire until you achieve the look and feel that speaks to you. Our Sherwin-Williams Color Visualizer is guaranteed to help you narrow your color choices, order real paint samples and then test the real paint color. Online tools are a great way to get you started, however the real paint should be tested on the area to be painted and evaluated in natural light. Not tech-savvy? 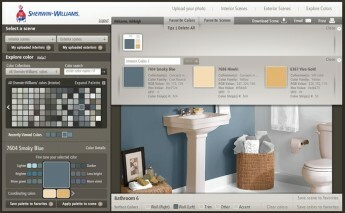 No worries, Here’s a quick tutorial http://youtu.be/Shmcm908Wp8 on how to use our Sherwin-Williams Color Visualizer. When you are ready to bring your colors to life visit a Sherwin-Williams store near you. 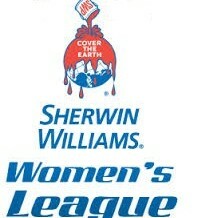 SHERWIN WILLIAMS COLOURSCAPE KNOCKOUT HEATS UP WITH 4 GAMES THIS SATURDAY, SEPT 27TH! Second round action in the Sherwin Williams Colourscape Knockout kicks off this Saturday, September 27, 2014 with four matches. Portmore Strikers are down to host Harbour View FC at Racing Oval while Waterhouse FC face new comers Ranger FC at Waterhouse Stadium. Los Perfectos FC will entertain Trelawney Women FC at Elleston Wakeland Center and midseason champions Barbican will travel to Collie Smith Drive where they face Boys Town FC. All games start at 3 PM sharp! !